Another false alarm: Alaska tsunami warning issued Friday was meant to be a test, officials say… But what is the true story, please? The U.S. National Tsunami Warning Center said a tsunami warning sent out to radio and television stations in Alaska Friday morning was meant to be a test, not an alert about an imminent wave. 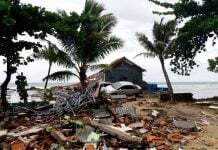 The alert was sent at about 7 a.m. local time Friday morning and said the tsunami warning was in effect for the entire state for one hour. 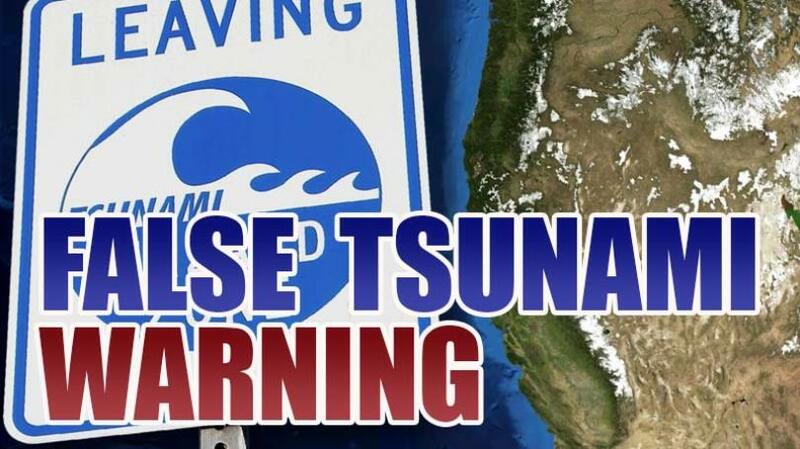 The message immediately followed another warning that was clearly worded as a test, and the Palmer Tsunami Warning Center is investigating what caused the false alarm to be sent statewide. In a tweet, the National Tsunami Warning Center said the test message was misinterpreted, but Alaskans disputed that statement, saying there was no indication that the alert was simply a test. So what the heck guys? The U.S. National Tsunami Warning Center said a tsunami warning sent out to radio and television stations in Alaska Friday morning was meant to be a test, not an alert about an imminent wave. According to the Associated Press, the message lasted nearly two minutes, but there was an indication at the end of the alert that it was a test. Messages sent as tests generally say they’re a test at the beginning. TEST wasn’t announced until the end of the feed. Up till then it was “Tsunami Warning” for CA, AK, WA and OR – full text for each State. 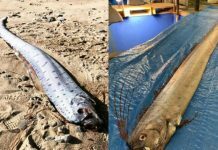 The false tsunami alert sent to Alaskans on May 11, 2018. There is no TEST to read! 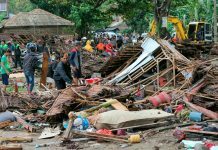 The false alarm comes three months after a test message was mistakenly sent as an actual tsunami warning to residents up and down the East Coast in early February. Users of several weather apps, including The Weather Channel, saw the alert upon opening their app because of what was believed to be a coding issue. You know what?? If this was the first time. Maybe even the second or third but this is a trend. What is the true story? Friday’s alert was not sent to cellphones, which would have happened in the event of an actual tsunami warning. I am wondering what happened to those hikers who were boiling broccoli to eat on the volcano video. Those broccoli looked so good! Did they keep cooking and eat them? Or they started running for their lives? On the video, there was a scene of a small tornado ripped the local baseball game. On the higher dimensions, there is no competitions like any kinds of games. Those ball games, or any kinds of games which create winners and losers have been created by the evil human eater reptilian aliens in the ancient times to decide who were going to be eaten by those alien cannibals. Usually losers of those games were the ones to be eaten by them. No wonder I was not interested in any ball games either watching nor playing. To me, it is crazy that people are so passionate to play or watch those games. Big wildfire on the south of Palo Duro Canyon State Park is now officially called Mallard Fire. A strange complex of reptilian facilities had been burn down. All the ammo plants are the targets of the Clean-Up Operation of Galactic Federation of Light. Unfortunately, there is no youtube video for that. BOX ELDER, S.D. — A fire erupted Tuesday at a South Dakota ammunition plant where more than 2 million rounds of ammunition were stored, destroying the facility and prompting evacuations because of initial fears of exploding bullets. The blaze was reported around 10:40 a.m. at the Ultramax Ammunition company in Box Elder, a city just east of Rapid City. No injuries have been reported, and firefighters for a time decided to stay back and allow the facility to burn. Authorities don’t know what caused the fire. Ultramax Ammo is located in Rapid City, South Dakota, not Box Elder as the story says, and it burnt to the ground. In addition to the Ultramax fire on Tuesday, May 8, 2018, three days earlier on Saturday, May 5, 2018 there were two vehicles burned in north Rapid City, SD. This took place late at night around 2:00 am when the cars had been parked in front of their homes. The religious institutions including churches are all targets of the Clean-up Operation of Galactic Federation of Light. All religions institutions have been created by reptilians to mind control humans so that they can easily manipulate human as their slaves. Battery Factory can be the target of the Clean-up Operation of Galactic Federation of Light. We have FREE energy that Nicola Tesla had taught us. Then why we have to depend on the toxic batteries? After the major clean-up operation, everybody can get FREE energy so that we do not have to pay any money to those reptilian criminals who are operating electric industries. All the oil industries including transportation of oil are all target of the Clean-up Operation of Galactic Federation of Light. Ethanol is part of the oil industry commodity. We usually pay for gas including 10% of ethanol. The question is whether you want gasoline with 10% of ethanol, or complete FREE & clean energy. thank you for all these links!